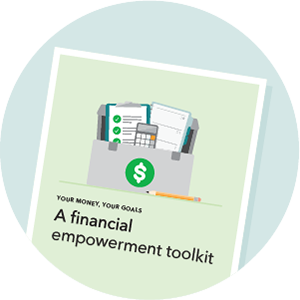 The toolkit has information that helps you have money conversations with the people you serve. Use the tools to help achieve goals and work through challenges. Printed copies of the toolkit are available free of cost in English (Updated Sept. 2018) and Spanish (Updated Dec. 2016). Train staff or volunteers to use the Your Money, Your Goals toolkit and measure the results of your trainings. The 43 tools and handouts from the full toolkit are now available as individual, fillable pdfs. Find resources below to help meet the needs of each person you're working with.